Bay Leaf is the name given to the fragrant leaves of the Laurel Tree. These are also known as Bay Laurel, Turkish Bay or Sweet Bay. In scientific terms, Bay Leaf is called Laurus Nobilis. The Bay Leaf Tree is a member of genus Lauraceae Laurel. How To Grow Bay Leaf? 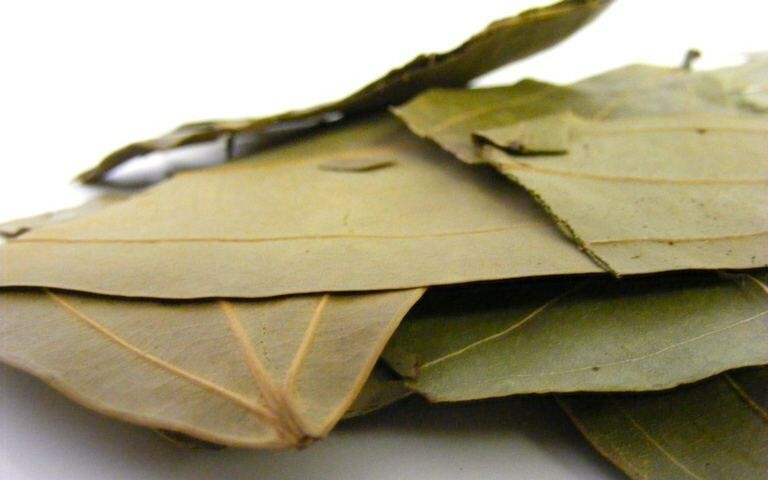 Can Eating a Bay Leaf Kill You? What Can I Substitute For Bay Leaf? 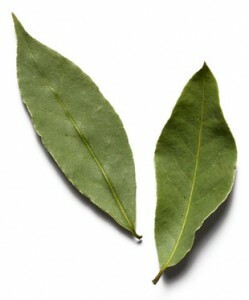 Bay Leaves are often considered to be poisonous. This is due to the fact that spreading whole or crushed Bay Leaves in pantries and kitchens have been found to keep cockroaches, meal moths and flies away. But this is mainly because of the aromatic oils present in Bay Leaves. Household pests are repelled by these oils which act as a deterrent for them. But Bay Leaves are undoubtedly non-poisonous. The health benefits of Bay Leaf are numerous. 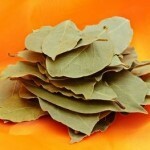 Bay Leaves are extremely beneficial for health and can be used in various ways. Bay Leaves are rich in iron, calcium, manganese, magnesium, potassium and vitamins A and C. These are extremely beneficial for the body and are therefore fit for human consumption. 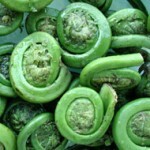 When used in cooking, these are a highly nutritious addition to cuisine. Add 10-15 drops of Bay Leaf oil into 16 ounces of your shampoo and rinse your hair with this solution. This is known as an effective cure for dandruff. Taking a bath with water mixed with Bay Leaf oil can be very soothing for the senses. Dipping your hands and feet in Bay Leaf-water solution can ease pain in those regions. The aromatic properties of Bay Leaf oil make it apt to be used as a room freshener. Pour a few drops of Bay Leaf oil into a dish. Light a candle below this to gently heat the oil and vaporize it. Bay Leaf vapors calms the mind and relieves stress. 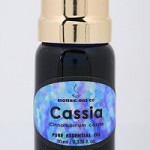 You can also add a few drops of this oil to your skin care products to add fragrance to them. Laurel Tree is said to have been grown since early times of mankind. Asia Minor is said to be the place of Bay Leaf origin wherefrom it spread to the Mediterranean regions and other nations having similar climatic conditions. In ancient Greece, eminent statesmen, poets, war heroes and winners of athletic competitions were honored with a crown of Bay Leaves. In Greek Mythology, the Bay Laurel Tree was mentioned to be sacred to Grecian God Apollo. Today, Bay Laurel Trees are found in many countries like India, Columbia, France, Russia, Belgium, North America, Central America and Italy. 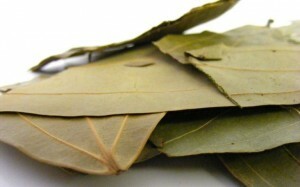 Turkey is one of the main exporters of Bay Leaves. Bay Leaves are bitter and pungent in taste. They feel slightly hot when eaten raw. Bay Leaves have a sharp flavor that is quite different from many other herbs. Bay Leaves are great to be used as medicines. Bay Leaves are very effective as diuretics and consuming those helps remove excess water from the body as urine thus clearing toxins and wastes away. 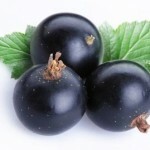 It stabilizes insulin processing in the human body thus reducing high sugar levels in bloodstream. Massaging your body daily with a few drops of oil extracted from Bay Leaves can help reduce pain and inflammation caused by minor bumps, arthritis, strains and sprains. Massaging temples with Bay Leaf oil can help relieve headaches and migraine pains due to Parthenolides present in them. Bay Leaf oil is also useful in treating joint pain, digestive ailments, respiratory tract infection, flu and cold symptoms. Eugenol in Bay Leaf oil gives it antibacterial and antifungal properties which makes it perfect for curing infections. Liquid Bay Leaf extract strengthens and tones the digestive tract. Bay Leaf Essential Oil contains ingredients like cineol, α- pinene, β-pinene, methyl eugenol, acetyl eugenol, linalool, terpineol, geraniol, eugenol and chavicol. Slighlty sniffing oil extracted from Bay Leaf benefits sinus and lung congestion. 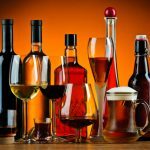 Sniffing too much of it directly can be damaging for health. It is advisable that you add a few drops of Bay Leaf oil to a vaporizer and inhale the air. Are you suffering from sunburns? Using Bay Leaf oil as a cool compress over sunburn can work as an effective cure. Bay Leaf oil is famous for its astringent properties. People with oily skin can add a few drops of this oil to the essential skin toner and massage their body to treat acne problems and tone their skin. 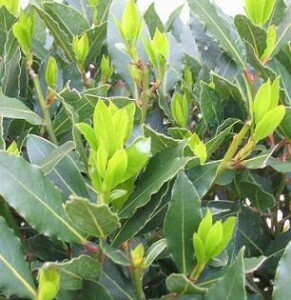 Growing Bay Leaf requires the knowledge of the climate and soil conditions preferable for the Laurel Tree. The tree cannot withstand extreme cold and needs warm weather conditions to grow and survive. If you live in a hot country, you must keep it in shade as the plant cannot survive extreme heat either. People living in very cold countries should keep their Laurel tree in an indoor environment that receives plenty of sunlight. Like most trees, Laurels prefer loose, well-drained soil. If your garden has something contrary, you can try buying all-purpose soil from the market that holds enough water for plant growth and survival. Laurels require a fair amount of water though an excess of it can destroy them. 5-10 minutes of daily watering should be enough for Bay Leaf Tree. If you are in a hot country, increase the watering time. People in cold areas can pour slightly warm water to the soil for plant comfort. Bay Leaves can be used in various ways. Adding Bay Leaves while cooking can add flavor and fragrance to dishes. Both dried Bay Leaf and fresh Bay Leaf is used. Bay leaves contain a number of vitamins and minerals that are essential for the body. The high Bay Leaf nutritional value makes them a perfect addition for cuisines. Ingesting Bay Leaf carefully can be extremely beneficial for health. 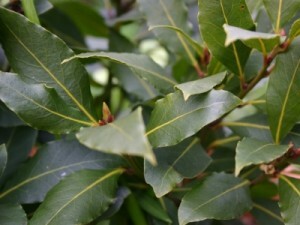 The extremely important Bay Leaf medicinal uses make them a valuable herb. Bay Leaf works a good diuretic, pain reliever, stress reliever and also as a cure for bacterial and fungal infections. They are also useful in providing relief from stress. 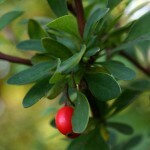 Bay Leaf oil is highly popular in cosmetic industries. They are used as a perfume. Adding Bay Leaf oil into beauty products can be beneficial for skin. It contributes as an aromatic element to the products. As aforesaid, they are very useful as insecticides. Ground Bay Leaves and spread the powder on cabinets and kitchen floors. Crushed Bay Leaf can keep pests and insects away for a long time. Know the amount of nutrients per 100 gm of Bay Leaves. Bay Leaves contain Vitamin A (6185 IU), Vitamin C (46.5 mg), Pyridoxine (1.740 mg), Folates (180 mcg), Riboflavin (0.421 mg) and Niacin (2 mg). 100 gms of Bay Leaf includes 23 mg Sodium and 529 mg Potassium. Bay Leaves are a storehouse of essential minerals like Copper (0.416 mg), Iron (43 mg), Calcium (834 mg), Zinc (3.7 mg), Magnesium (120 mg), Phosphorus (113 mg), Manganese (8.167 mg) and Selenium (2.8 mcg). 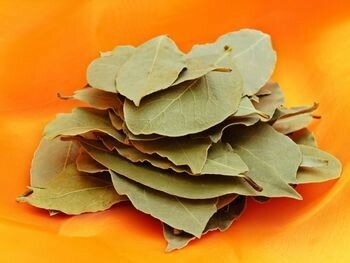 Bay Leaves also contain 313 Kcal energy, 74.97 g carbohydrates, 7.61 g Protein, 8.36 g fat and 26.3 gm dietary fiber. The remaining portion consists of water. 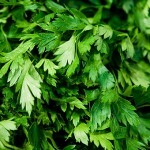 There is no cholesterol present in this herb. 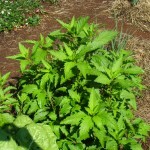 The dark green Bay Leaves are a popular addition for many dishes. 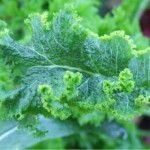 These can be used dried or fresh though dried leaves are more preferred. This is because the bitterness is lost in wilted Bay Leaves though the aroma remains intact. Bay Leaves are used as a flavoring agent in sauces of bread, tomato and béchamel. They are also added to meat and poultry dishes, rice, sweet breads, creams, custards, soups, vegetable and sea foods to add flavor. Bay Leaves are added as a spice in preparing Court Bouillon. Is Bay Leaf dangerous for health? As aforementioned, Bay Leaves are non-poisonous and are not harmful for consumption. However, Bay Leaves are quiet hard to eat and somewhat pungent in taste. 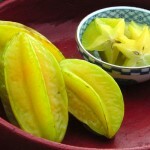 If not eaten with care, they may cause choking and also injure the tongue. Bay Leaves eaten whole can also injure the digestive tract. Pregnant women should refrain from having too much of Bay Leaves as they contain chemical compounds that may lead to abortion. Where the smell and flavor is concerned, there is no Bay Leaf substitute. 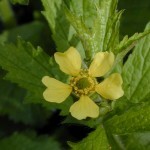 However, there are some people who cannot bear the taste and flavor of this herb and are simply allergic to it. 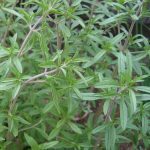 For such people, Bay Leaf Substitution involves other herbs like Boldo Leaves, Oregano, Thyme, Basil and Juniper Berries can act as alternatives. 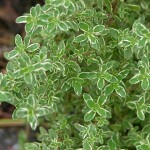 1 Bay Leaf equals ¼ tsp crushed Thyme. Bay Leaves can be grown in a container or a pot. Bay Leaf growing in a pot can be done by following these steps. Fill 3/5th of the pot with potting soil/all-purpose gardening soil and 1/5th Perlite. 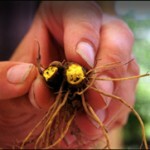 Remove the seedling very carefully so as not to disturb the roots. Plant the seedling to moderate depth with care, covering its roots with soil. Water the soil thoroughly. Let it drain. Place the pot near a window that lets in a generous amount of sunlight. Fertilize the soil twice a year, once in summer and once in spring. Choose a fertilizer that you can use for both indoor and outdoor plants. Check the instructions on the package to fertilize properly. Move the plant outside when the temperature conditions are moderate in every respect. Both extremes of heat and cold are bad for the health of Bay Leaves. Bay Leaves can grow well and last for quite a number of years with little care. Know some steps on how to care for Bay Leaf trees properly. Choose a proper, uncluttered location that receives ample sunlight during the morning and shade in the afternoons. 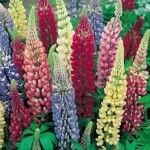 Fertilize the plant well after every two-three months during the first 2 years of its growth. Use an organic fertilizer that is water-soluble if you are going to use the leaves not only for aromatic purposes but also cooking. Prune the sapling to keep its height, width and shape in check. Trim only twice every year, once at summer end and also at the beginning of spring. Maintain a balance in moisture until the tree is fully grown. This is highly necessary if you are growing the bay tree in a pot. Regulate watering as per the season. Increase water during the summer months and decrease it in the winter season. If you live in a country where it snows during winter, it is advisable that you bring the plant indoors and keep it in a cool, bright environment to avoid frost bites. People in very hot countries should also keep their plant in some sunlit spot indoors to prevent them from getting sun-burnt. Lack of proper care can result in Bay Leaf diseases like Rusting of the plant, Mottling, Leaf Spots, Pest attacks and Mottling. Pruning Bay Leaf tree is very important in maintaining its shape and size. Trimming is also necessary for its ornamentation. You can prune a Bay Leaf Tree either for decoration or to keep the tree small. Here are some steps you need to follow to prune the tree the right way. Wait till April and watch the base of the tree. Do you see multiple stems coming out of the soil? If yes, cut off all the stems with hand pruners leaving the thickest vertical shoot intact to serve as the tree trunk. Trim with pruning shears any side shoots you can locate arising sideways from the bottom of the trunk. This will help to keep the trunk surface smooth. Prune the foliage in any shape you like such as a triangle, a circle or a cone. If you are not too sure of a shape, just trim off the last two or three inches from each branch tip. Repeat the above steps once again in August to remove any extra growth. Want to know what does a Bay Leaf look like? Here are some useful Bay Leaf Pictures. Check out these Bay Leaf images to get a visual idea about the appearance of these leaves.